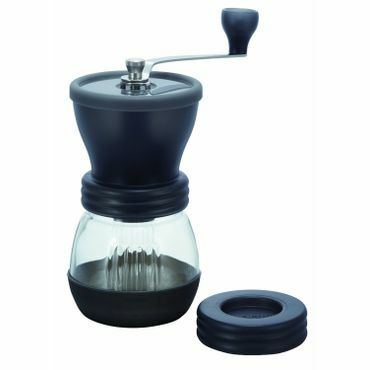 Bottom Line While slower than an electric grinder, and not as easy to use in some ways, reviewers say the Hario Skerton Ceramic Coffee Mill is a great alternative to more expensive electric burr grinders. It also gets very good feedback for versatility and its grind consistency. Hario Skerton Ceramic Coffee Mill Hario Ceramic Coffee Mill "Skerton"